I admit that I am not a big fan of the "skull" designs, but the packaging is still cute and functional. They kind of remind me of macarons. No mirror is inside but it comes with all the essentials such as a thick plastic cover and a puff. I first thought they were unnecessary because it seemed just a conventional pressed powder formulation. I guess I also overlooked the "cream blusher" description because it definitely isn't a soft cream blush, either. Etude Houde Cream Blusher has this hybrid consistency, close to pressed powder but it is creamy to touch and feels almost wet. You can apply it with a cheek brush but the puff actually works amazingly well with this particular formulation. PK001 Skull Rose is a beautifully vibrant rose shade. 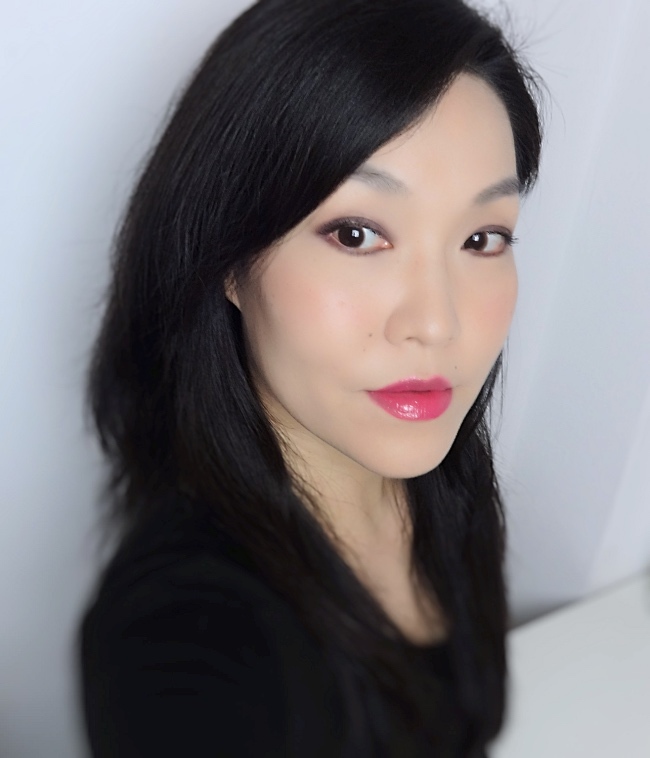 This is similar to NARS 413 BLKR blush but so much easier to control and never looks ruddy on me. 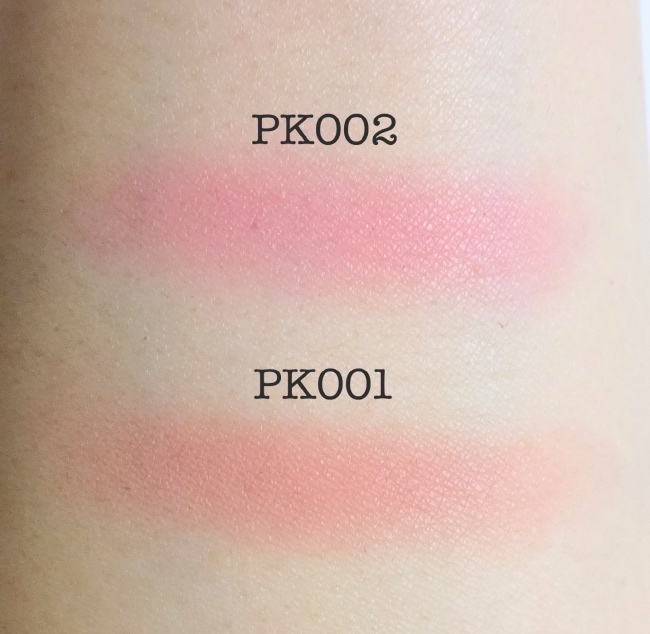 PK002 Funky Pink is a blue-based pink with nice clarity, which I usually find easy to wear. It brightens up my complexion and works great with various hot pink lip colors I own. You can see from the swatches how creamy they go on the skin. There is virtually no powder kick-up. Lasting power is decent, definitely better than regular cream formulas on me. 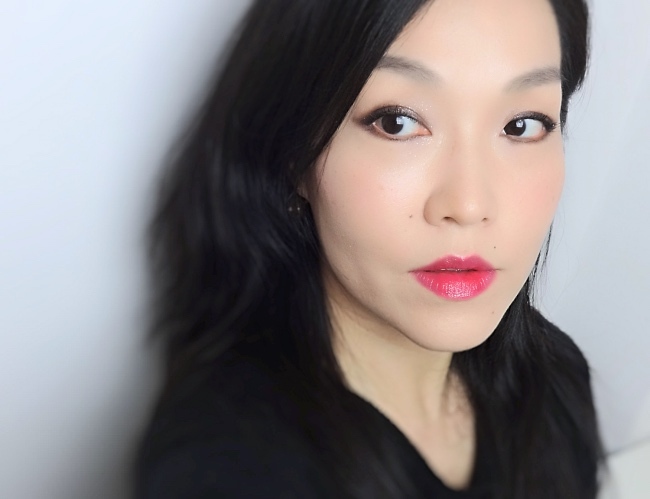 The finish is soft-focused and slightly creamy that I find quite ideal for my maturing skin. Really, who would have thought? I am recycling a few overall looks as I have been featuring these blushes in many different looks on the blog. "Pink Skull" is an old collection, so these two colors are increasingly difficult to find even on eBay (but still available). Etude House keeps rolling out new colors as a part of new collections so you should able to find something else in the same formulation. 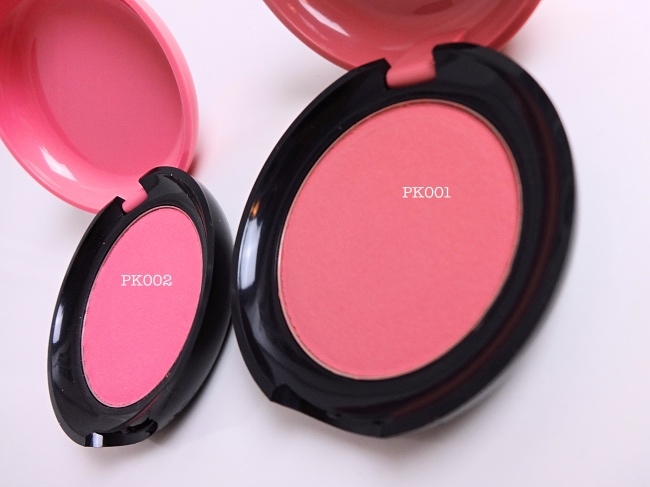 It is a great blush especially for the price and I think many of you would find the unique formula very pleasing. 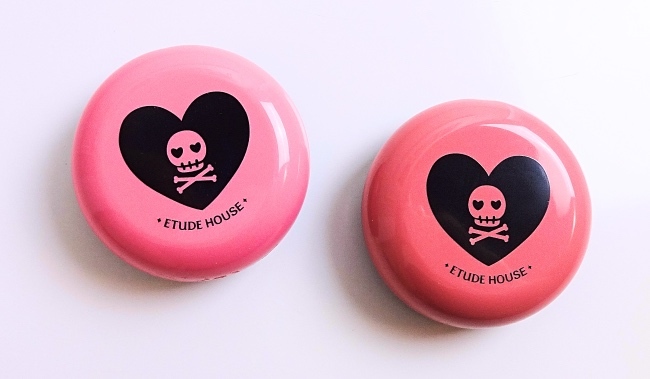 Have you tried Etude House Cream Blusher? How do you like them? I actually love the skulls, haha. So cute! 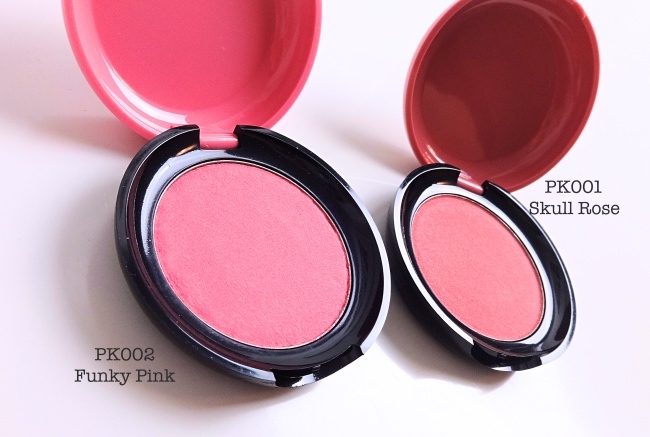 I'm going to look for these blushes next time I'm in an Asian beauty store. 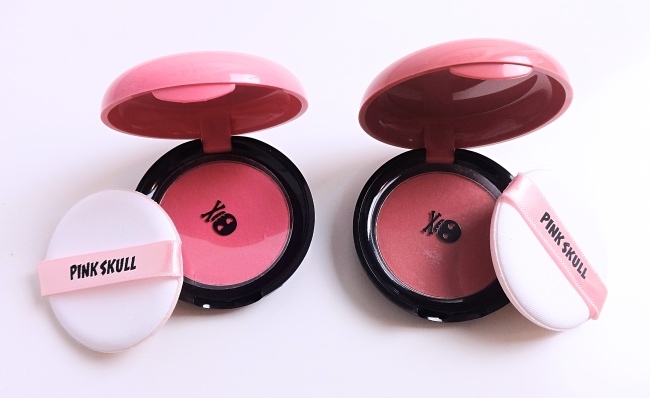 I love it Etude house but I haven´t tried these blushes because I am not so much fan of cream blushes but both colors are pretty and the packaging is really cute! Ooh I love the color on you Lena - it's soft, but still has good pigmentation. It reminds me slightly of Stila's convertible color which is a cream. Anyway, I'll keep this filed away!